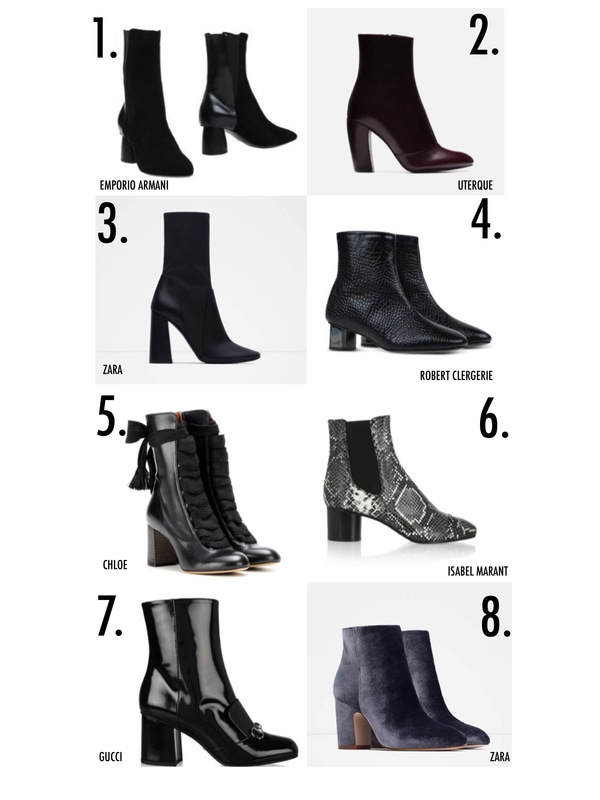 Its one of those items I search for every season; this year its all about the sock ankle boot, excellent worn with this seasons cropped trouser and cut off jeans as it sits a little higher on the leg and creates a slim and neat ankle. 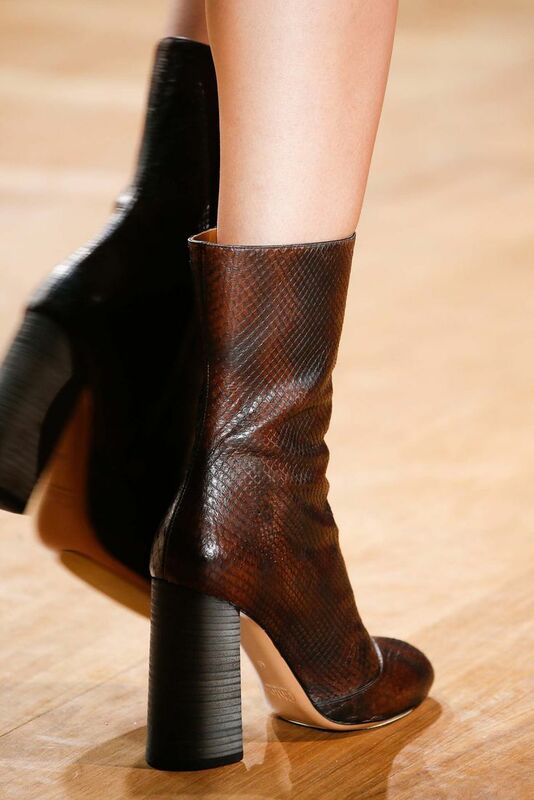 Other key styles include sixties booties as seen at Louis Vuitton, snake print and velvet; good statement styles. Heels are either sculptural and blocky or low kitten. Here is my edit of the best 8, happy shopping!